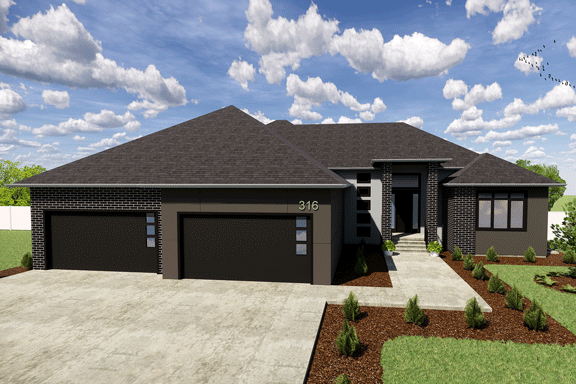 This custom “Somerset” floorplan from our Luxe Collection features 3 bedrooms and 2 baths. The lower level offers space for a future family room, rec area, wet bar, 2 additional bedrooms and a full bath. The kitchen has quartz countertops, a large corner pantry, tile backsplash and an island. The master suite has a beautiful ceiling detail, dual vanities with quartz countertops, tile surround shower, free-standing tub and a large walk-in closet connecting to the laundry room.